There are huge Moose everywhere! 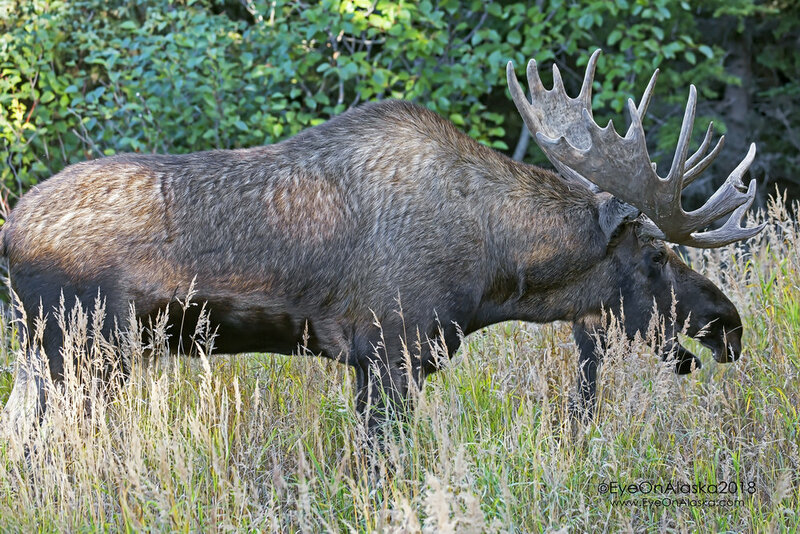 Geez, another big Bull Moose was in the yard late this afternoon. It’s a different one than the big guy that was here yesterday. I wonder if those two have been sparring as the guy today has a broken tine on his right antler. This is why we look both ways before we go out the front door! Not more than 10 feet away as I opened the front door. You can see the broken tine on his right antler. Branches in his antlers after crashing through the spruce trees next to the house. Amazing to watch something this big move through the trees.